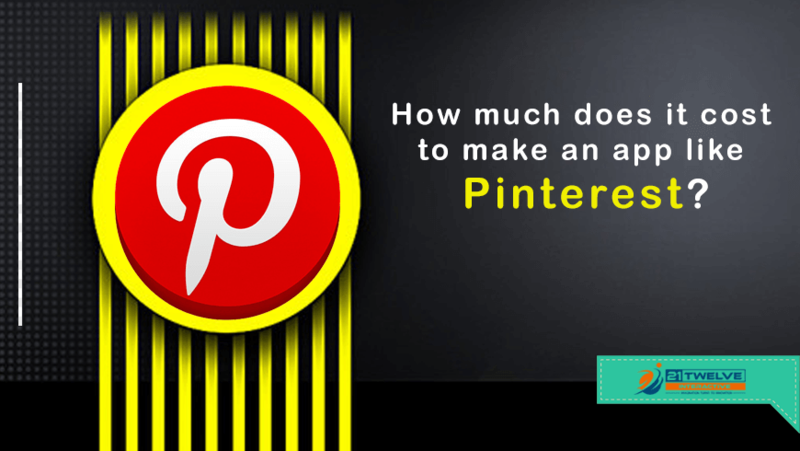 How much does it cost to make an app like Pinterest? Even though Pinterest has more than 200 million users, it is not a social mobile app. It is an app that is used for oneself and not others. It is not like Facebook and Twitter but can be shared on Facebook and Twitter. It is a very interesting app. It is like a big library of photos which are arranged and kept in folders according to their themes, and these can also be shared. You get the pictures from the web. Pinterest has a lot of traffic, to the extent of approximately 100 million users that are active per month. Millward Brown’s research has found that approximately 93% have used Pinterest to plan their shopping or to shop while approximately 52% have liked what they saw on it and have shopped for it online. It has been noticed that women use Pinterest more than men. Why Do People Use Pinterest? Besides shopaholics, it is used a lot by people who are creative like fashion designers, graphic designers, illustrators, interior designers etc. It is an app which is very useful for personal and business use. So, how much does Pinterest cost and if one had to make an app like Pinterest how much would it cost? To make an app similar to Pinterest, one needs to find out what motivates people to use this app. Some of these reasons are that people can have their own personal portfolios, their own collections of images, they get to know about trends and also what is new in the market, they derive inspiration, they get instructions and also how-to tutorials and they can do social networking. They can present their products impressively, they can promote their products and monitor how well their products have been accepted in the market, they can set trends, they can interact with their target audience, increase traffic, do market research, get many different social networks together and create business connections. Therefore, this concept is very promising since it is popular as well as when it comes to investing in it financially. Creating an app based on Pinterest would only benefit, and, if one thought of new features that would add to the app, then the new app could reach greater heights. To make a mobile app which is like the Pinterest mobile app, no company will be able to give you an accurate estimate. The cost is calculated on the basis of the number of hours required to make the app. Depending on how complex the functions are and the implementation of the ideas the applications are categorized into four i.e. simple, middle complexity, high complexity, innovative. Every company has a different rate per hour for each of these categorizations. So, the number of hours it will take to create the app is multiplied by the rate per hour according to the four categories. That will be the cost. Besides, you will also need to spend on web design services and for testing of the app. Well as now the demand for online sharing images rapidly increases. The creation of application like Pinterest cost in the US is around $58,000 to $80,000, Where 21Twelve Interactive provides such apps like Pinterest at an affordable price ranging from $6000 to $10,000 per platform. Receiving notifications and managing them in the settings menu. You can register for Pinterest for free. Also, if you want to keep your pins private than you can invite your friend to see your secret boards. Pinterest is a site that is very appealing visually with images and photos. One can gather them from the web and store them-not just one set, you can store many different collections. These collections can be shared with others after pinning them to a pinboard, and the term used for this is ‘pin’. Collections are organized according to the information that is got together. Many people want to get Pinterest app cloned because businesses can be promoted online by creating pages. The Pinterest app can also be used to further personal interests like for shopping, for hobbies, for what to wear for important occasions, what to cook for special events. It is a very useful and functional app, therefore, people want to develop apps like it. Pinterest like apps can be developed for various platforms like Windows, IOS, Android and other popular platforms. You need to make sure the design of your app is stunning so that it attracts users and also keeps them involved-the app design will create the first impression, therefore, it needs to be amazing and impressive. To achieve this the cost will go up. However, some best practices for design can be followed by the company developing it to reduce the cost. Next, you need to keep in mind the platform on which the app has to be developed. Some platforms are cheaper than others like Android is cheaper than the iOS platform. The functions and features that are incorporated in the app will also determine the cost. The more the features and functions, the higher will be the cost. For reduction of the cost you can use the basic features but if you want to create an app that is superior to the app Pinterest then the cost will go up but your app may do better than Pinterest and overtake it. Choosing the app developer also will have an impact on the cost. The cost will depend on the developer’s experience, his proficiency and where he is located geographically. Therefore all these factors have to be kept in mind while developing a new app. which is based on the app Pinterest. Pinterest is like a scrapbook or like a digital bulletin where collections are saved safely. Many people have become “Pinterest addicts’ since it is easy to use, a lot of fun and through it, one can pursue as well as publicize and communicate one’s dreams and hopes. It is supposed to drive more traffic than LinkedIn, Google Plus and YouTube all put together. Therefore it appeals to hawkers who sell their physical products or even destinations. However, Pinterest does have copyright issues. Therefore when you collect pictures and images, you will have to be cautious. Pinterest has added an additional feature due to which it is not just used on the personal level for inspiration. You can advertise on it, which costs, however, labels can advertise via Pinterest Promoted Pins. There are three types of campaigns one can choose from- the first one is awareness being built, the second one is boosting of engagement and the third one is driving of website traffic. The billing will depend on which campaign you choose as the billing of each is different. Focusing on campaigns to build awareness has a standard cost i.e. every 1000 impressions are charged for. The advertiser is also charged for every engagement i.e. CPE on a pin that is promoted, like a click. The goal is driving more traffic to your website. However, it has a cost attached to it. Advertisers are charged only when users click to go to your website from a promoted pin. Charging for advertising is an advantage for Pinterest as it earns through it and profits from it. The cost of creating an app like Pinterest can be adjusted. A more creative, greater targeting and superior performance, as compared to competitors, will direct more traffic to your website which will benefit your campaign and bring your costs down. There is a scientific reason for people preferring content that is visual than a long text-40% people prefer visual content-because 90% of neural impulses coming into the human brain are visual. Therefore one needs to keep this in mind when developing content for the target audience. It is easier to respond to visual content and remember it. Pinterest concentrated on image sensitivity of users and has become very popular. Amongst US users, Pinterest’s popularity was in the third position, in 2013. Initially in 2009, the year it was released, it did not generate any revenue. This mobile app cost to make but, it started making a profit only in 2014. Now there are many entrepreneurs who have a great desire to clone this app as it is making a lot of profit today and they want to be part of the success of an app that shares photos and concentrates on visual content, as the concept is easy and popular. To make an app identical to Pinterest does not make sense. However, making an app that will use photos and visual content but will have a different and special concept so that it excites people more and they take to the app, is a good idea. It should have additional features and functions so that it overtakes Pinterest and becomes the hot app in the market. For example, Pinterest is used for inspiration. The audience is mainly women. About approximately 75% of its audience is women. So, one can create an app that includes men in its target audience. In the making of the app, the mobile app development company should add male space to it. There should be space for masculine interests. One should come up with interesting functions that will make the app different and exciting. That is the challenge to overcome in the making of an app that resembles Pinterest. Making profit is important but creating value is the bottom line. If you do not give value to the users then the app will not be successful. Now, people are smart, educated and tech-savvy. The app should deliver value otherwise it will not have what it takes. Competition, today, is fierce. Therefore, to beat it one needs to be ahead of one’s competitors always. Read also: How to separate your mobile applications from your competitors? Even if one starts an app with basic features and functions, one has to keep adding to the app-increasing its functions and features so that it is leaps ahead. You have to think out of the box to make the app fun, thrilling, delivering value and being user-friendly. Pinterest came up with a fresh and new concept giving all these aspects importance and therefore gained recognition. Good service is very important to succeed and be ahead of competitors. Clients need to enjoy the app experience. Clients have to come first and this has to be obvious to the clients. This can make all the difference and can make you the best provider in the market. How much does it cost to create an app just like Fitbit?